When you are trying to move house in West Harrow, you need to find reliable, friendly and efficient removals company. Luckily if you’re reading this, you’ve already found one. Moving Service are the number one relocation service in the whole of HA1 region, and we know exactly what you need, probably before you do. We can advise and support you during the whole process, and we will make sure that nothing gets overlooked. If you’ve got questions then call today on 020 8746 4402 and our friendly bookings team will happily answer them for you. Once you’ve had your questions answered, book a free valuation, and see how we can help you move. Located in the London borough of Harrow in the North of the city, West Harrow is a popular residential area, but also has a great appeal for outside visitors due to its bohemian vibe and focus on the arts. One of the big draws is the local art gallery called Usurp art gallery, which was converted to a gallery from an old butchers shop. The gallery is managed by artists and is not commercially driven, meaning a wonderful range of artwork gets displayed, including work by local talent. In addition to this, HA2 region also houses a park, local gardens and several buildings of interest such as the parish church. It also has brilliant transport links for those who wish to dart into central London for a brief spell. Who to Call When You Need To Move? These days there is almost too much information available, and it’s made making decisions really hard. But we are here to tell you that when it comes to hiring a removals company, the answer is easy; you need us. We are professionally trained relocation experts based in West Harrow and we deal with every kind of house removal on a regular basis. We are the best at what we do, and based on the reviews we get, we think our customers agree. Don’t waste your time with the lesser quality moving services, if you’ve got a job you need doing, then get us to do it, and we’ll do it right every time, guaranteed. It would be silly not to. What’s The Number for Moving Experts? 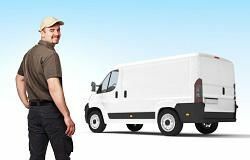 020 8746 4402 is the only number you need to know when hiring a removal service. We are the local service you can trust, and because we only hire removals experts, you can rest easy knowing that when you ask us to do something, we’ll do it right from the first time. We want to make your house move as easy as possible, and whatever you need to do that is what we will offer. Don’t let the stress, worry and frustration get on top of you; hand over all the pesky tasks to us and we can manage them for you, quickly, efficiently and safely. We cover the whole of HA1, HA2 areas and beyond so wherever you’re moving to or from, we will be there. How Can You Argue with These Prices? Price is a big part of why we choose anything, and getting the right price is vital for businesses to do well. That is why at Moving Service we have worked hard to make sure our prices are fair. We have checked around West Harrow and we offer the best value relocation services around, and not only this but our prices are incredibly flexible, and you can pick and choose the services you want depending on your budget and what you need. Don’t let price put you off hiring an expert removals company, come to us and find out what true value really means. Call anytime on 020 8746 4402 to talk to the experts about our range of removal services.